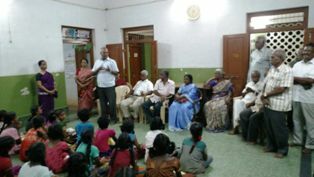 I am quite excited to receive a report from Shri T Santhanagopal, VP of our Thanjavur branch about the way they celebrated Deepavali, instead of wasting money on crackers etc. 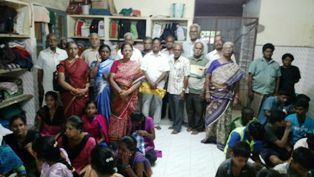 A team of our Pensioner comrades led by Shri V Swaminathan(District Secretary), Com. 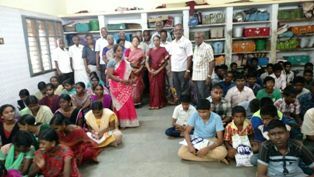 K S Krishnamoorthy and some lady comrades of Thanjavur in Tamilnadu visited different Orphanage Homes, Blind Boys Schools, Poor Girls Homes, Mentally Retards Rehabilitation Centres, Deaf and Dumb Home etc in the Temple Town and distributed good number of packets of clothes to the inmates, 650 packets of sweet etc. etc. 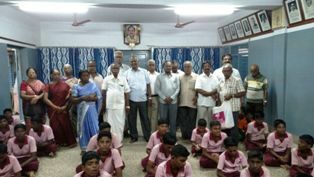 It is further heartening to note that Shri Vinodh, the PGMT of Thanjavur and Shri Vijayakumar, DGM participated in such a function organized by our District Association in an orphanage Anbalayam. 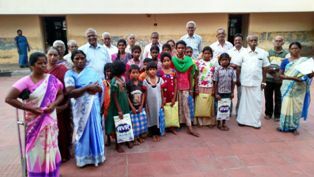 The Instructors/Teachers and inmates of these Poor Homes were jubilant to receive the gifts from BSNL pensioners. 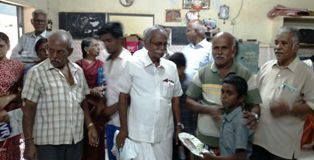 I congratulate the Thanjavur comrades who organize such charity programmes every year instead of spending money or crackers. 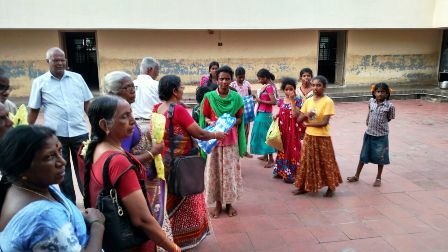 This type of charity really gives light to the minds and eyes of hapless people. Few photos are given below.